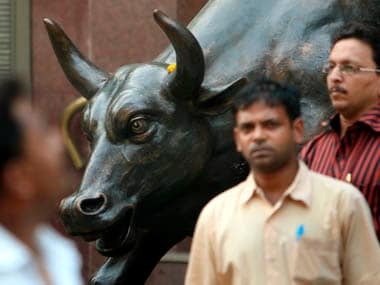 Mumbai: The BSE benchmark Sensex rose for the second day, gaining over 150 points on hectic buying in banking and IT stocks as easing concerns on the macroeconomic front bolstered investors' risk appetite. The broader NSE Nifty too witnessed a rise of 57 points. Market sentiments were boosted by a host of positive factors including stable rupee, falling crude oil prices, subdued retail inflation and steps to improve liquidity situations. Both equity benchmarks Sensex and Nifty smartly recovered from day's low towards the fag-end of the session, but global trade tensions ahead of G20 meet this week and mixed Asian peers kept participants cautious, restricting the gains on domestic bourses. Analysts said that "risk element on inflation is subsiding with the rise in oil production, strong rupee and drop in yield; CPI inflation is expected to be under the control range". The 30-share Sensex settled 159.06 points, or 0.45 percent, higher at 35,513.14, while the broader NSE Nifty jumped 57 points, or 0.54 percent, to finish at 10,685.60. 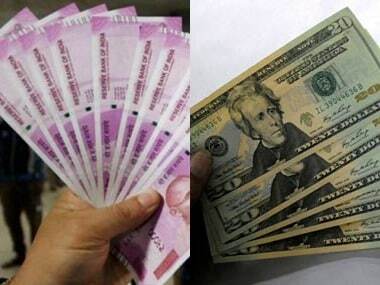 Meanwhile, the rupee weakened slightly against the US dollar after US President Donald Trump suggested a further tariff hike on Chinese goods. 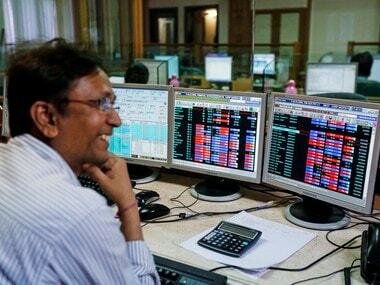 Infosys, Reliance Industries, TCS, HDFC, HDFC Bank, Maruti, SBI, IndusInd Bank and Kotak Bank led the gains on the Sensex, rising up to 2.53 percent. While, Sun Pharma, Hero MotoCorp, Yes Bank, Wipro, Bajaj Auto, Bharti Airtel and Tata Steel fell up to 3.34 percent. On a net basis, foreign portfolio investors (FPIs) bought shares worth Rs 62.74 crore Monday and DIIs were net buyers to the tune of Rs 351.78 crore, provisional data available with the BSE suggested. 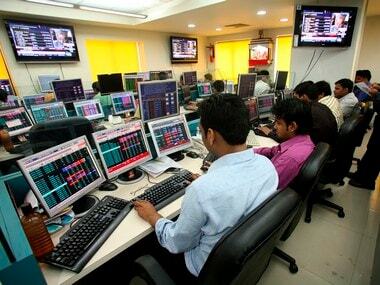 The broader markets too advanced with BSE Smallcap rising 0.43 percent and BSE Midcap ending 0.32 percent higher. Elsewhere in Asia, Korea's Kospi was up 0.79 percent and Japan's Nikkei rose 0.64 percent. While, Hong Kong's Hang Seng fell 0.17 percent and Shanghai Composite Index was down 0.04 percent. In Europe, Frankfurt's DAX was down 0.09 percent, while Paris CAC 40 fell 0.05 percent. London's FTSE climbed 0.21 percent.